After the roaring success of Aamir Khan's PK and the Baahubali franchise in China, it has been established that they have a liking towards Indian films. Now, we have an exciting announcement for all the fans of Tamil cinema and Thalapathy Vijay. Mersal will be the first Tamil film to release in China. This is indeed a moment of pride for all the Tamil film buffs. To confirm this, AP International, who have associated themselves with Thenandal Studios Limited for this release, has taken to Twitter. They said, "We’re proud to set yet another record! In association with @ThenandalFilms & HGC Entertainment, #Thalapathy #Vijay’s #Mersal is all set to become the first Tamil film to release in China. @actorvijay"
Apart from this, Hema Rukmani, Mersal's producer also took to Twitter to share her happiness on the same. She said, "‘Mersal’ Joins Throng of Indian Films Set for China Release @MuraliRamasamy4 @ThenandalFilms @MyAPIFilms @arrahman @Atlee_dir @actorvijay #Thalapathy #Mersal #MersalisOurPride"
Will Vijay Be Able To Come From USA To Attend Karunanidhi's Funeral? THARA LOCAL KUTHU: CSK Deepak Chahar's Sister DANCE Performance! 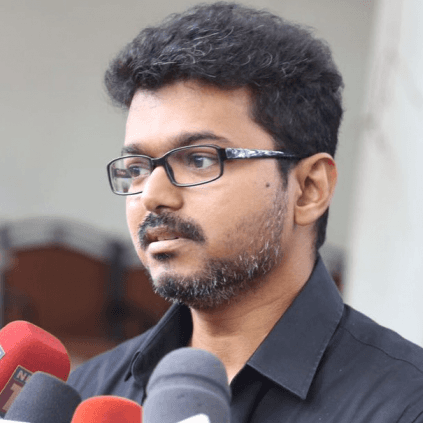 Vijay To Return From USA? | Ajith Pays Last Respect To Kalaignar! Vijay's SARKAR Last Song Gets A Aalaporaan Thamizhan Connect! People looking for online information on Mersal, Vijay will find this news story useful.